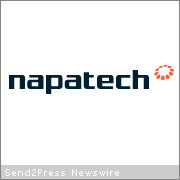 MOUNTAIN VIEW, Calif. — Napatech today announces the latest release called CLEVELAND for their NT20E family of 10 Gbps FPGA-based high-performance network adapters for PCI Express. Product displays at ISS WORLD Washington DC, December 9-11 2008. The Napatech X family of 4-port 1 Gbps adapters has for years had an advanced “Local Retransmit function” allowing incoming data to be filtered on the adapter and returned to the network without involving the host CPU. This functionality is now further enhanced and moved to the NT20E two-port 10 Gbps adapter. For more information visit: http://www.napatech.com.